I never intended to go just over seven months without writing, however life has been quite busy. All good too! The last I wrote I had decided not to do the Shamrock Marathon in Virginia Beach. What ever was causing my heart to act weird (stress most likely) is gone and I also finished my kitchen renovation by May 1st. So what have I been up to? Triathlon training of course! 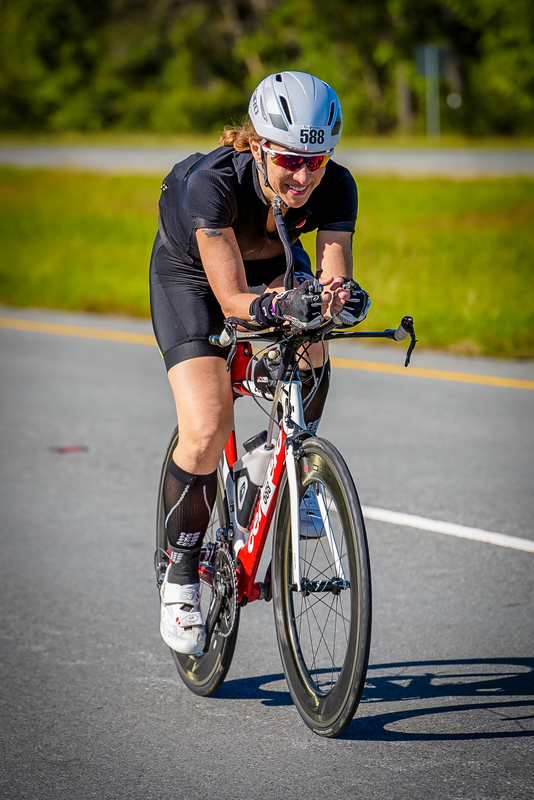 My season began with Eagleman 70.3 Half Ironman in June in Cambridge, Maryland. I chose that race because I also registered for Ironman Maryland scheduled for October 3rd. Eagleman takes place at the same venue and much of the course overlaps. The swim is in the Choptank River which flows to the Atlantic Ocean. The river is brackish – freshwater river meets saltwater ocean creating semi-salty water – aka brackish. The swim was too warm to be wetsuit legal so I swam in a skin suit. The swim went okay, I don’t mind the saltwater and even though it was choppy I had a respectable time compared to the field. The bike was flat – less than 200 feet gained over 56 miles. Great, right? Well there is also wind. In the end, it was a good bike time for me. One thing that was an issue – it was hot. When I got off the bike it was 89 degrees with 90 percent humidity. Before I got to mile two on the run I had to pull out. I kept getting asthma attacks that I could not keep under control. It was a humbling and frustrating experience. This was my first triathlon since Ironman Chattanooga, and readers know how that went. I did not give up though. My doctor has me on Advair daily now and it has helped my exercise induced asthma tremendously. I did The Cleveland Triathlon Olympic distance triathlon in July to finally cross a finish line and build some confidence. I took third in my age group – out of six so it was legit! 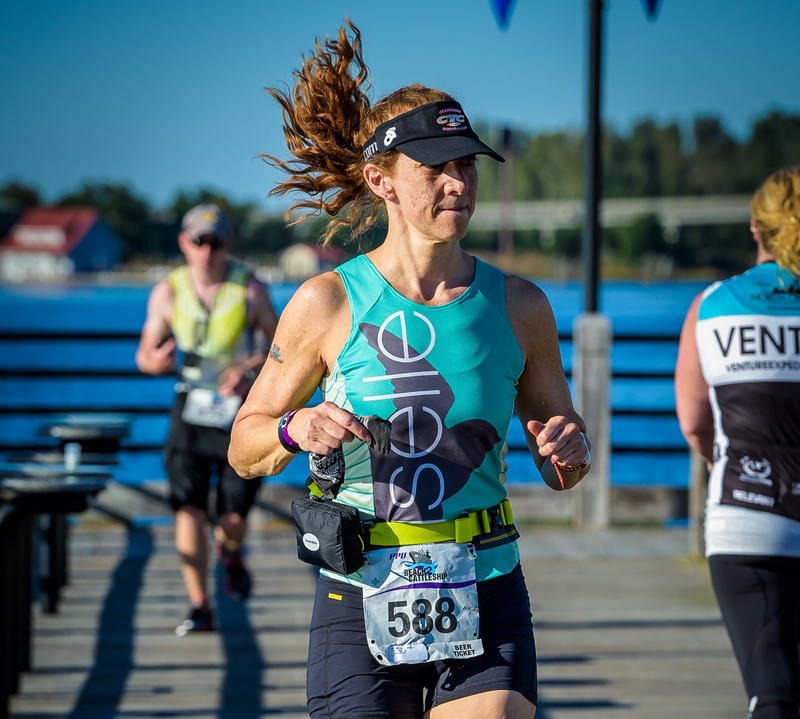 In August I did Steelhead 70.3 Half Ironman and finished with a PR on the course over last year. 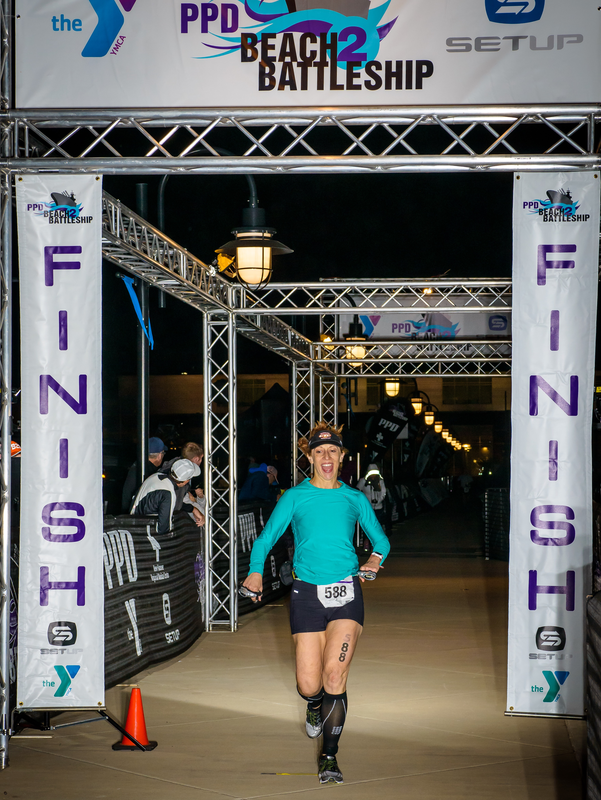 As my training continued with Ironman Maryland on the horizon, I gained confidence in my ability. I definitely was better prepared and the course suits my strengths better. That said, I still had to fight down the demons in my head about what went wrong at Chattanooga. As September wound down and I began to taper for the race two other forces were gaining strength. The noreaster was building along the east coast and hurricane Joaquin was gaining strength in the south Atlantic. Both were heading toward Maryland. And on September 30th so was I. I loaded my car with my bike and gear and drove from Cleveland to Maryland. When I was five hours into the drive with two hours to go my phone blew up with calls and texts from my friends who were going to meet me there the day before the race to cheer me on. The race was canceled due to the storm. Time for a brief recap. 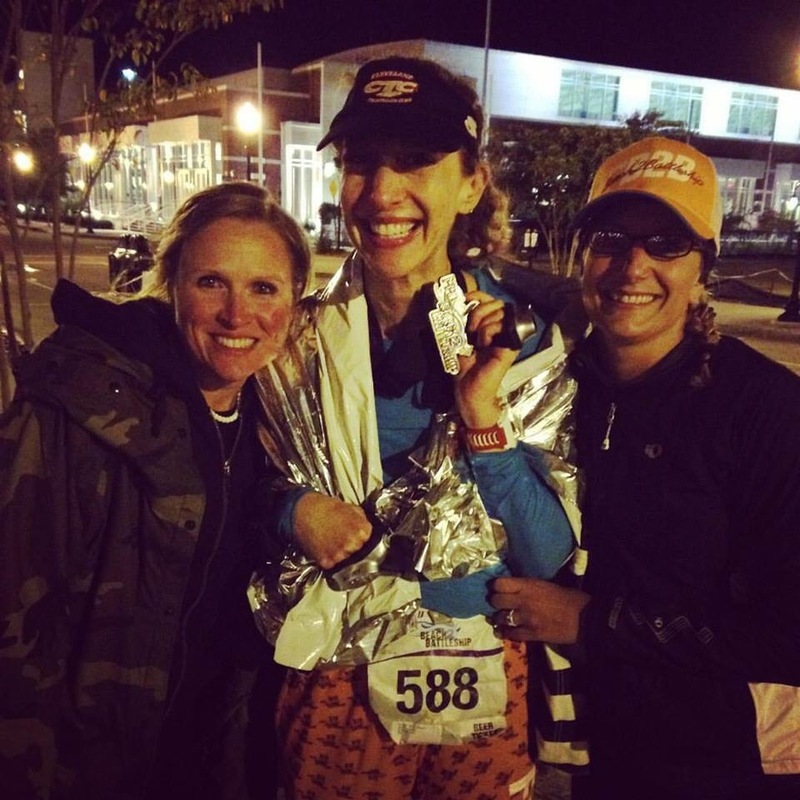 My first attempt at completing an Ironman was in Chattanooga last year when I had covered 139.3 miles in 15 hours and 14 minute only to be pulled from the course at 10:50 PM because I was just short of the mile 21 cutoff point. (Remember it is a 144.6 course due to a long bike and a finish time less than 17 hours since it is later in the year). My second attempt was Ironman Maryland and the weather canceled the race. Was this ever going to happen?? I pulled off the highway and went into a Dunkin Donuts somewhere in East Maryland and pulled out my laptop. Ironman was saying that the race may be rescheduled for October 17th but it would not be confirmed until Tuesday October 6th. October 17th – all three of my friends who were going to be in Maryland for me could not make it that weekend. One was running the Columbus, Ohio marathon, one had a wedding to attend, and one had the biggest benefit of the year that night for the non-profit she works for. Where were many of my other friends going to be that day? 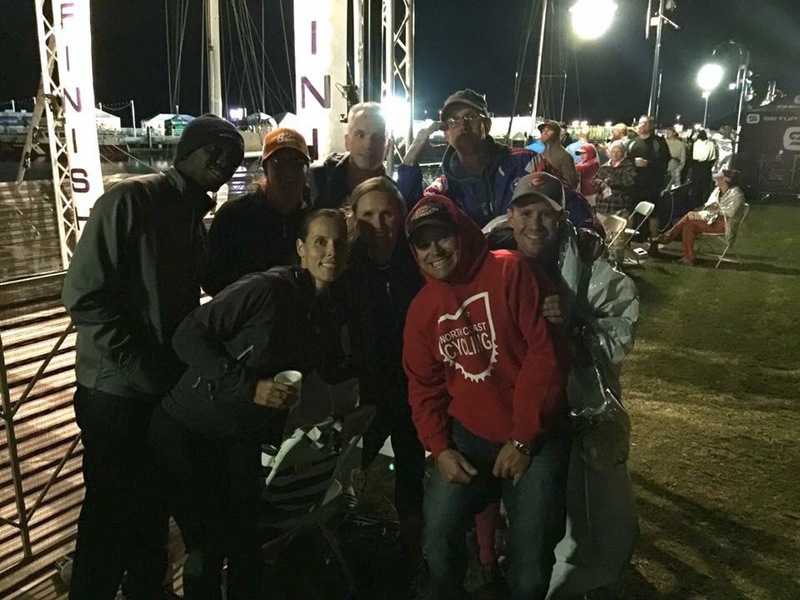 Seven of my triathlon friends were already doing Beach2Battleship (B2B) iron distance triathlon in Wilmington, NC. All of the friends I did Chattanooga with were doing it plus four others. The only reason I didn’t register was I was determined to cross the finish line of an “Ironman” branded race. B2B is a 140.6 long course triathlon but not put on by World Triathlon Corporation the owner of the Ironman brand. Without any regrets I made the decision right there in Dunkin Donuts to register for B2B. There were 160 or so slots still open for the full with a cap of 800. If I was going to race on October 17th, I was going to do it with my friends. I had a plan to do an interval repeat of run 3.5 minutes then walk 30 seconds. It would keep me consistent and get me through. If all went as planned the marathon would take between 6 and 6:30. My calf didn’t like running. After the first 5 miles I knew if I was going to finish the race I was going to have to do the power mall walk. My calf was tightening up and I didn’t want another spasm to take me out. So I went into power walk mode. Walking a marathon is tough. I admire all who do it intentionally. There were a few times I just didn’t know if I could go on. 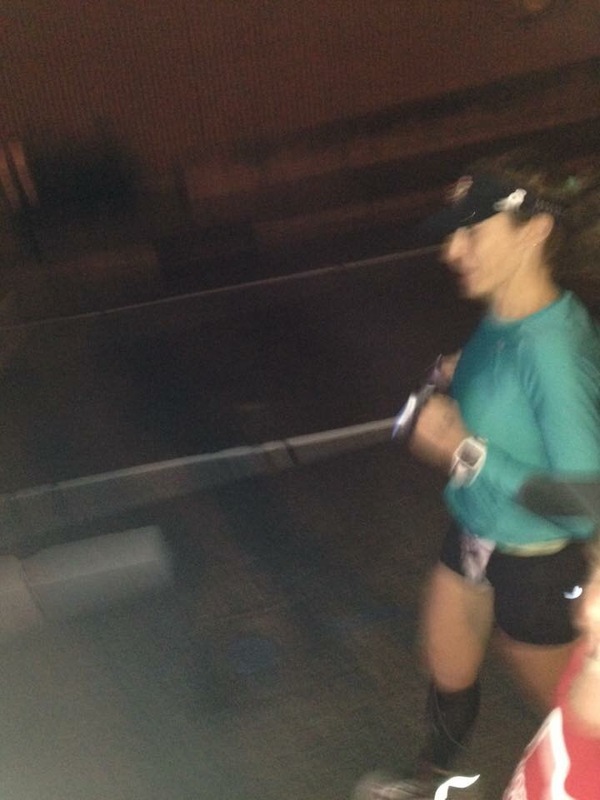 Around mile 15 I saw one of my friends coming toward me. She was at mile 24. She stopped to hug me and could tell I was in a bad place. 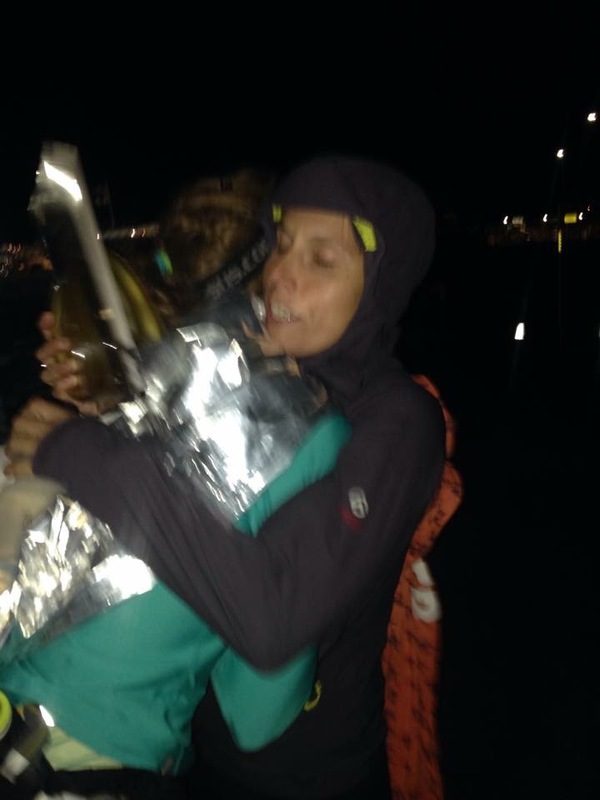 She told me she would be at the finish for me and then made me promise I would not quit and I would finish. I knew then I would for sure. B2B has a 17 hour time limit, and lets say I got my money’s worth of the race. I did the marathon in 7:35 – 6 minutes longer than my bike time. I crossed the finish line with an official time of 16:35:50. All seven of my friends had finished, showered, and were celebrating at the finish line when I crossed. One friend, the husband of one of my triathlon friends, is a great sport coming to the races supporting and cheering us on. His wife is also the fastest of the bunch. She finished six hours before me. The surprise and exhilaration I felt just past mile 24 is hard to put into words. I looked up and there he was taking my picture to text back to his wife at the finish line. He jumped in next to me and said “I am making sure you finish this f***ing race!” And he did. Running in jeans next to me too! Start of the run, trying not to focus on the pain in my calf. My friends celebrating and waiting for me to finish. Running in with my friend. My friend on the left came in fifth woman overall! My friend on the right is the one who made me promise I would finish. The next morning I was so sore but felt so accomplished. I also had a nice surprise. 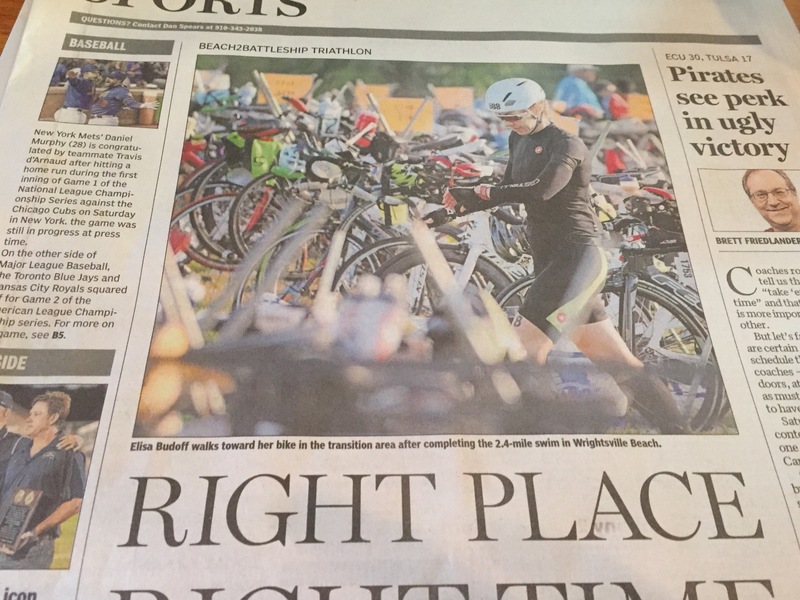 The local paper did a piece on three women who had switched for various reasons from Ironman Maryland to B2B. I spoke to the reporter on my drive down and met him in person at one of the bike rest stops. He told me the article would be in the paper the next day. What I didn’t know was my picture was on the front page of the sports section! It turns out Ironman Maryland did take place that day too. It was much colder than in Wilmington and the water there was rough. Ironman ended up cutting the swim short. The athletes who finished did not get to do the full 140.6 distance and the results are marked with asterisks that it was a short swim. My heart goes out to the athletes that toed the line at “Maryland 2.0”, the weather just did not cooperate this year for that race. For me, Beach2Battleship was the third time and truly was the charm! Congrats on an amazing race. The newspaper article is such a great way to commemorate the race. Awesome sister!!! Woohoo! Can’t comment more… I’m hunting wabbits (deer). Congratulations. Thank you!! And thank you for taking time out from hunting!! Thank you for coming back! So good to hear your voice out here in the innerwebz again, and congratulations on your race. I do my first Half Marathon Sunday–and I also have exercise induced asthma. It’s taken about 5 years to figure out the best treatment for me. I think I’m finally there! Thank you Sandra! Wishing you all the best on your race! 1) Your face as you crossed!! AMAZING. Thank you my friend!! Never say never ;-). I wish I were in my kitchen, but alas I am at work!